For your special family member’s golden years, rehabilitation may provide additional time for quality of life. It is a healthy and enjoyable option for pets that have maxed out their medication to stay comfortable. Our certified rehabilitation therapists will take a personalized approach with your geriatric pet to ensure your pet is taken care of. We will consult with your primary care veterinarian, do a detailed exam and observe your pet in motion to create the best treatment plan possible. Hydrotherapy is the use of an underwater treadmill for exercise. This therapy has benefits for all dogs, but can be particularly helpful for geriatric pets who may have lost some of their mobility. 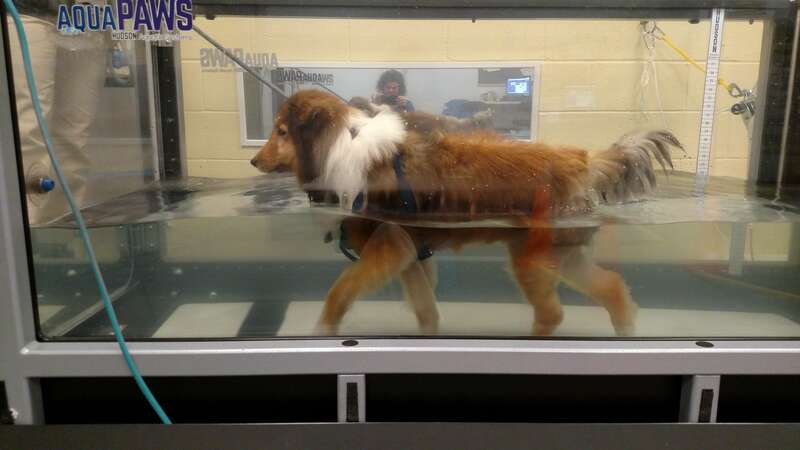 By using the underwater treadmill, animals are able to rebuild muscle mass while reducing the stress on their bodies. If you are interested in learning more about geriatric physical therapy, or want to schedule an appointment, contact our Glenwood location.